Photographing proposals can be a tricky thing. 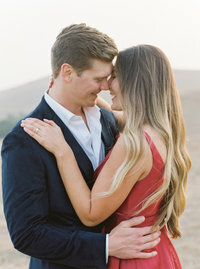 There are SO many little details that go into the game plan of crafting a perfect proposal and, well, a certain amount of pressure to capture the moment! That’s why I can’t say enough about having Flytographer on your side. The team there has an incredible amount of experience in the art of planning a proposal and following up with priceless photographs. My favorite part of planning Hung’s Flytographer proposal to his girlfriend was hearing his thoughts on how he would set the moment up. I asked him if he had any special dinner or event plans that would provide an excuse for getting snazzy and dressed up. He replied, “No need, she always looks good!”. Which was totally the case! After dropping the knee by the scenic Golden Gate Bridge, we headed over to the Palace of Fine Arts for some additional engagement shots. Like every weekend in sunny San Francisco, the place was CRAZY. With tour groups galore and multiple other photo sessions happening all around, it’s easy to get overwhelmed! Luckily, the three of us had talked game plan all beforehand (thanks again, Flytographer!). It was all about exploring the amazing ruins in our own, creative way and seeking out those perfect moments where the crowd cleared and the sunlight came down. 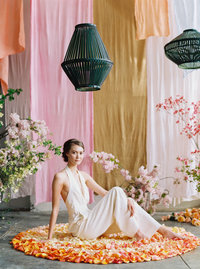 I’m so happy with how the photos made it look as though Hung and Chau had the whole place to themselves – when this was definitely not the case!! So glad to have been a part of this great moment! Congratulations to Hung and Chau on their engagement, I wish you guys all the best!